HOME DZINE | Can you Paint a Tiled Floor? Can you Paint a Tiled Floor? 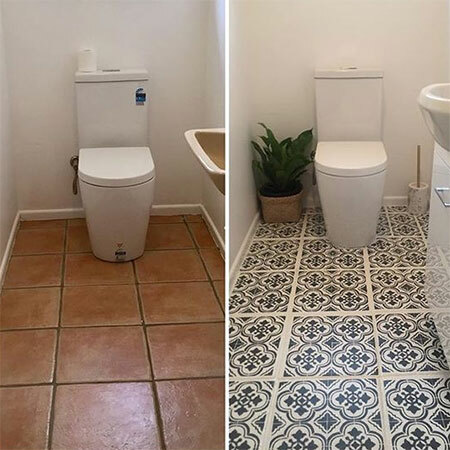 Despite the fact that we do feature a couple of projects for painting a tiled floor, you should not paint tiled floors and here's why. Tiled floors are more common in high traffic areas such as bathrooms, kitchens and passageways and these tiled areas in particular should never be painted..
We receive a lot of enquiries from readers asking if they can paint their tiled floors, and while there are a couple of projects here on Home-Dzine that look at painting floor tiles, we do not recommend that you paint tiled floors. It may seem strange that you can paint tiled walls but not floors, but if you think about it... you don't walk on wall tiles. However, recent searches via Pinterest show an increase of over 1.276 percent for interest in painted floor tiles, which goes to show that there are lots of people looking at the option of painting floor tiles. 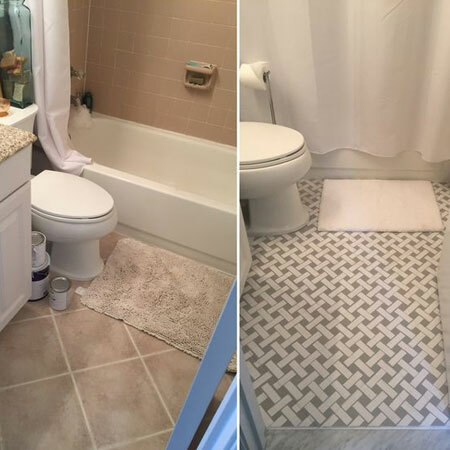 To satisfy this need, you will find hundreds of projects that offer advice for painting floor tiles, and you should be aware that this is not recommended. Floors take a lot of traffic on a daily basis and it is easy to end up with flaking or peeling paint - or both - after applying paint to tiles. If you want to paint a small area that doesn't get walked on very often, that's all fine and well. But don't waste your time and money painting floor tiles in your home. If you do decide to paint floor tiles, apply several coats of a protective finish after painting. With everyone now believing that painting a floor is an easy solution for ugly tiles, and while the immediate result might look great, there isn't any possibility that it is going to last very long. Just goes to show that you can't believe everything you see on the Internet. 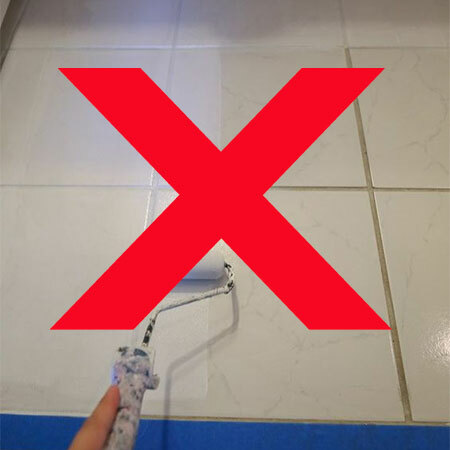 Before you pick up a paintbrush and start painting tiled floors, give very careful consideration to the project. It could be that a few months down the line you have to go to the mess and trouble of removing all the paint. If, however, you don't want to take the step and have existing tiles removed, perhaps consider a professional painting job that also comes with a guarantee of some sort should the job fail. Painting floor tiles in high traffic areas is a waste of time and money.